Photo via Good Free Photos. According to the Fraser Institute’s annual survey, Nova Scotia has a poor reputation among some global mining executives. But we think recent developments in Nova Scotia make it worth a second look. The Government of Nova Scotia has become a strong supporter of mining in recent years and has made a series of policy decisions designed to help the industry grow and create jobs. In 2017 the provincial government extended its fuel tax rebate to our industry. The rebate is now saving producers 15.5 cents per litre of fuel consumed on mine, quarry and pit sites. In 2016 the government overhauled our Mineral Resources Act for the first time in a quarter century. The new Act cuts red tape and unnecessary costs, while continuing to hold the industry to the highest environmental and operational standards. In spring 2018 the government established the Mineral Resources Development Fund (MRDF), a grant program that supports prospecting, advanced exploration, minerals-related research and public education. MRDF is supporting many projects, including a needs assessment analysis of the province’s publicly-available airborne geophysical data. The needs assessment, which will be complete this fall, will identify strengths and weaknesses in Nova Scotia’s minerals database and make recommendations for how to improve it in order to reduce exploration risks and costs and shorten the exploration cycle. This is the first step in what we are calling the Minerals Play Fairway, a project we hope will lead to a best-in-class, government-funded geophysical database that helps attract investment and job creation to the province. This summer, the province gave the mining industry a higher profile within government by removing mining from the former Department of Natural Resources and creating a new Department of Energy and Mines. This change highlights the government’s focus on supporting the industry and places mining within a department that has a proven track record of economic development. These policy decisions contributed to making 2017 a turnaround year for Nova Scotia’s mining industry. Atlantic Gold’s Touquoy mine has started production and is proving that Nova Scotia’s Meguma gold deposits can be profitably mined. The company’s Moose River Consolidated Project, which will see several satellite deposits opened in coming years, is making the global mining industry take a second look at Nova Scotia’s potential for gold. Anaconda Mining recently registered its Goldboro Gold Project with the province’s Environment department and is working toward starting pre-production in 2020. Kameron Collieries began construction on the Donkin coal mine in 2015 and started production in 2017. Kameron is selling to Nova Scotia Power for domestic power generation and continues to explore the international metallurgical export market. Success breeds success and there is a great deal of exploration activity taking place in Nova Scotia these days. For example, MegumaGold recently completed one of the largest airborne programs in Nova Scotia’s recent exploration history. We believe increased support from our provincial government combined with the success of companies like these will lead to better results for Nova Scotia in the annual Fraser Institute survey. Most importantly, it will lead to greater understanding of Nova Scotia’s mineral potential and more job creation and investment in the province. 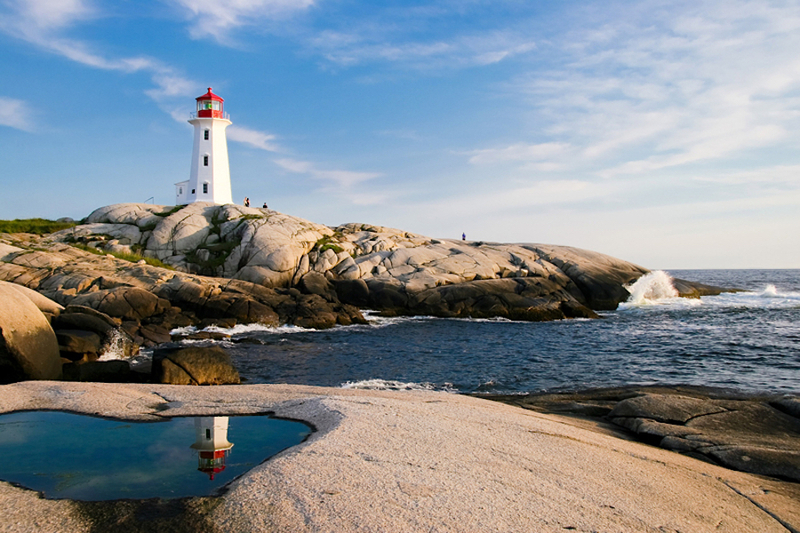 Recent developments in Nova Scotia make it worth a second look.